Good morning and welcome to Day #2 of Chocolate and Mint Theme Week. 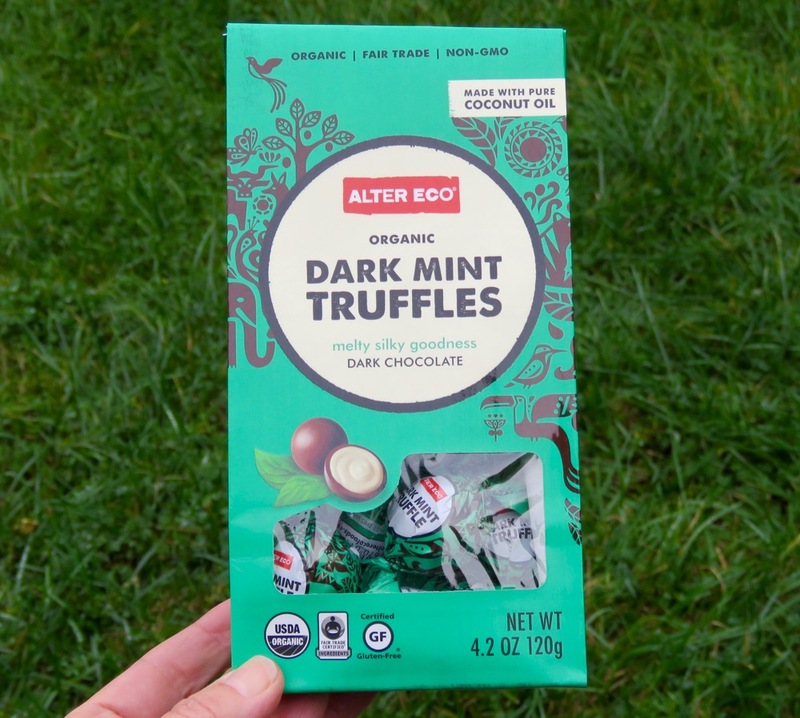 Today's package of individually-wrapped, Swiss-made Dark Mint Truffles were distributed by Alter Eco in the U.S. (San Francisco, CA). 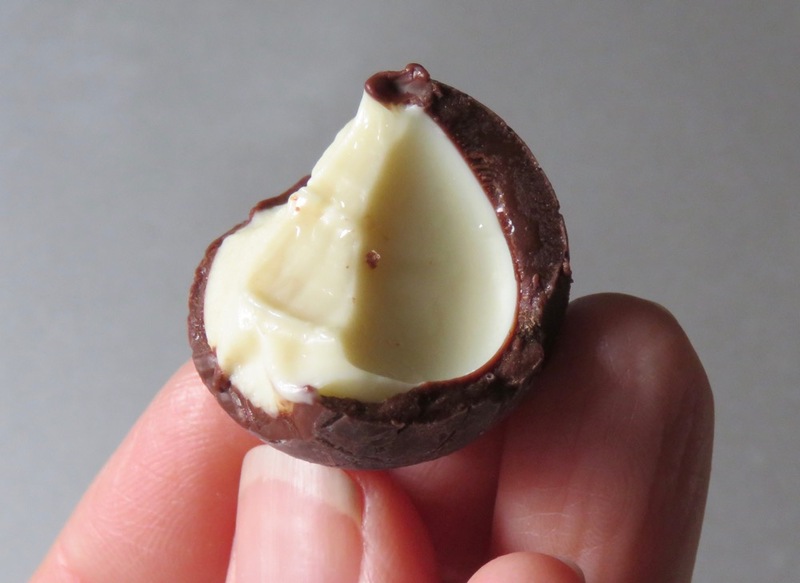 These mint globes were composed of peppermint oil-flavored centers, covered with 58% Ecuadorian cacao. Mint is a natural match with chocolate. However, a generous serving of mint, likely peppermint oil in most chocolates, can mask aroma and flavor nuances even in dark chocolate. So, if you're in the mood for chocolate, you might go for more dialed back mint. That said, the dark chocolate in these truffles still tasted rich, smooth and satisfying. And the almost silken centers were crafted with milk, coconut oil, vanilla and were well balanced and not ultra sweet (thank you!). Alter Eco mindfully constructs their chocolate offerings. 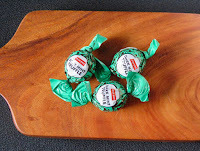 For example, each Organic, Gluten Free mint and dark chocolate globe were enveloped in plant-based, Non GMO, compostable wrappers. 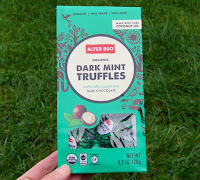 And these truffles made with fair trade ingredients earned a carbon neutral product rating.